Revit MEP is the leading BIM authoring tool in the AEC industry today. Many engineering firms around the country use Revit MEP as their BIM authoring tool to produce data-rich models. Efficient Revit users are key to the success of these firms. In this course, Revit MEP Essentials: Family Creation Workflows, you’ll explore the essentials of how to use Revit MEP. First, you’ll explore the user interface of Revit MEP. Next, you’ll discover how to start a project and how to create a new HVAC system. Finally, you’ll learn general workflows and tools used in Revit MEP. 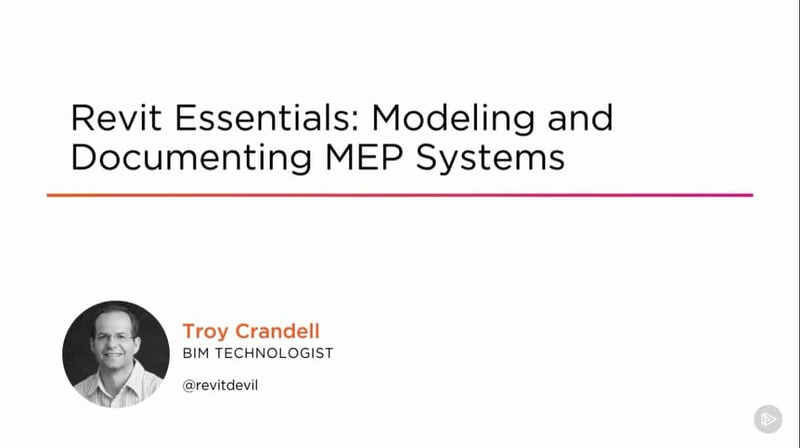 By the end of this course, you’ll know the key essentials of family creation workflows in Revit MEP. Software required: Revit MEP 2017.